It’s common sense that looking after things means they will last you longer. If you don’t get your shoes re-heeled and wear them down beyond repair, you will have to throw them out even if the uppers are still in really good condition. Having to pay for repairs and clothes cleaning can put extra strain on your weekly or monthly budget but will be worth it in the end so here are my top tips for keeping your closet contents in tip top condition! 2. As I do my winter to summer wardrobe changeover I check boots and shoes for repairs and coats and cashmere for dry cleaning and do just one or two items per month. Once collected they get stored away ready for next season safe in the knowledge I won’t have a massive bill at the beginning of winter. I do the same when putting my summer clothes away, sandals, dresses that have been worn to weddings all get checked and repaired or cleaned gradually over the winter months. 3. Don’t leave dry cleaning uncollected – make a note in your diary or on your to do list to pick up your clothes, nobody wants to forget about a treasured and much worn item just or a dress that you have only worn for one occasion. 4. Always check washing/drying instructions on garment labels, they are there for a reason and guidelines should be followed to avoid shrinkage. 5. Wash clothes in groups of colours to avoid mixed wash accidents. I stick with three colourways, whites which also includes pale pastel colours. colours which includes medium or bright colours such as blues, oranges etc and darks which includes anything in shades of black, navy, charcoal grey etc. 6. Wash anything new that is yellow, red or orange on it’s own to begin with, handwash is better to see if the dye runs before you put in the machine with other garments. 7. If your footwear came in a box when you bought it, don’t discard, it is so much easy to store boxes in your wardrobe than it is a load of random shoes and they will stay in much better condition this way. I make piles of boots, day shoes and evening heels in the bottom of my wardrobe so I know exactly where to go for everything. You could also label boxes to make life easier. 8. 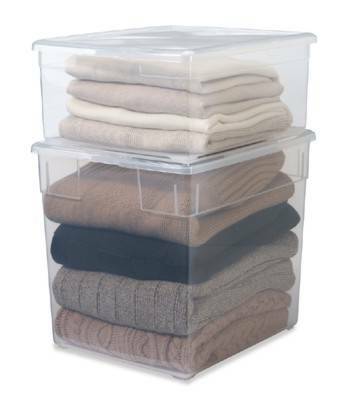 Store cashmere in boxes with each garment washed, folded and wrapped in tissue paper during the summer months. Seal the box with masking tape to keep months at bay. 9. Wash delicate underwear inside a pillow case or wash bag and ensure bras are fastened to avoid snagging on other items. 10. Wash jeans and dark coloured items inside out to avoid fade. If drying clothes outside on a washing line, avoid bright sunlight which can bleach dark colours and give the brightest of whites a yellowy tinge.